How to Ship Paintings from NYC to London? Whether it comes to sculptures, paintings, antique furniture, or your treasured family heirlooms, to ship fine art is much safer and easier with the experienced art shippers. This is especially true if you need to ship something truly valuable overseas. For example, do you know how to ship paintings from NYC to London? At Fine Art Shippers, we do, and we are ready to help you with that! First of all, it should be noted that Fine Art Shippers has been packing and shipping art and antiques since 1995, and we know plenty of proven techniques on how to ship paintings of any size safely and securely over a long distance. Secondly, all our specialists are friendly, courteous, and fast, so the best art shipping experience is guaranteed. What is no less important, while Fine Art Shippers is headquartered in Midtown Manhattan in New York, we also have a representative office in London, which means that we are the right choice for everyone looking for the right way on how to ship paintings between these cities. Now that you know how to ship paintings from New York to London and vice versa, let us draw your attention to our professional art crating services that we offer in both cities. If you have ever worked with Fine Art Shippers, you already know that we are experts in manufacturing wooden crates designed to meet the specific dimensions and shipping requirements of each transported item. 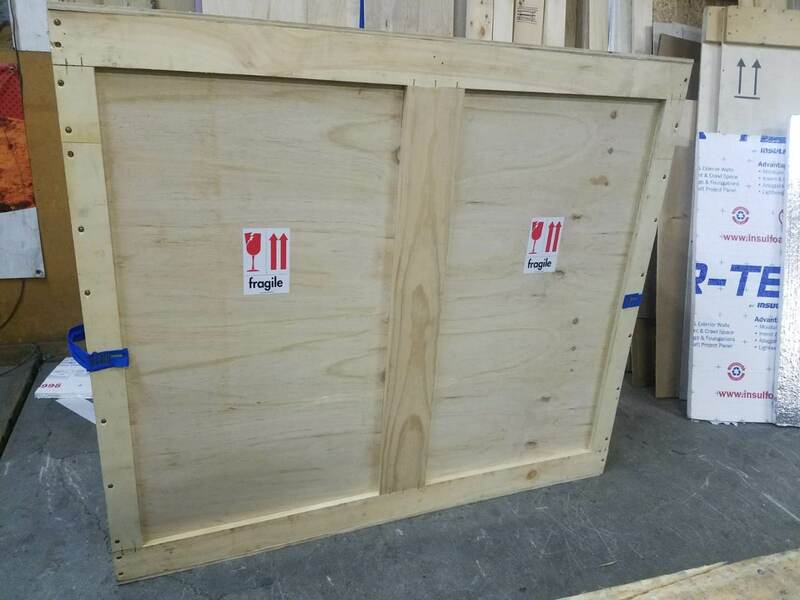 Such crates are used not only to protect valuable and fragile pieces in transit but also to meet art shipping insurance guidelines that can be very strict. 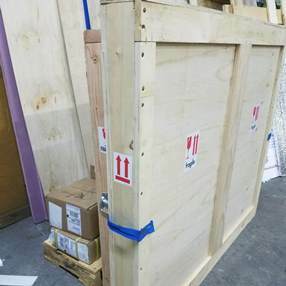 At Fine Art Shippers, we can build art crates of any kind, including durable crates for shipping paintings overseas. These include everything from economy one-way shipping crates to museum-quality crates with custom interior for the item’s extra safety and protection during the move. In other words, we know how to ship paintings of any value, size, and weight, and we can give advice on which crate to choose depending on the artwork’s specific needs and requirements. Finally, while ordering custom wooden crates means spending extra money, this important service won’t cost you an arm and a leg if you order it from Fine Art Shippers. Please contact our team directly or simply request a free shipping quote to verify this for yourself. That’s as easy as 1-2-3!